HII - Mission Driven Innovative Solutions Inc. (HII-MDIS) provides mission-critical engineering and technical service to Information Technology, Federal Civilian, and National Security, Aerospace & Defense and International government and commercial customers at over 100 locations worldwide. HII-MDIS is currently seeking a CBRN Operations Analyst to work At the USARC HLO Office at Fort Bragg NC. Serve as a CBRN/Logistics Analyst officer providing supply support and services to the United States Army Reserve Command (USARC), G33, Homeland Operations (HLO). Assist the USARC HLO with the management of daily logistics operations and coordinate with HLO, and other organizations for CBRN/logistics related needs. Assist the G33 with maintaining accountability of all equipment COTS/GOTS procured with WMD funding, and coordinating with CONUS/OCONUS Installation Transportation offices for movement of equipment. Coordiante with soldier certification, unit collective training, exercise support, sustainment and recovery and fielding operaitons. Visist USARC installations CONUS and OCONUS. Assist and coordiante between the G33 HLO and the installations Army transportation office for large equipment movements. This is an exciting opportunity to join the CBRN Management Team within the London Ambulance Service. Working as part of team, the post holder will ensure the preparedness of the CBRN response at all levels across the Trust. The successful candidate will have a sound understanding of the CBRN response and will assist in developing plans and procedures to enhance the CBRN capability. You will be responsible for ensuring the Special Operations Response Team remains ready to respond to an incident when required. This post is based at Cody Road, however travel throughout London is required. The successful candidate will be required to undergo Security Clearance (SC) checks. For further details / informal visits contact: Marc Rainey Head of CBRN and HART Telephone: 07818 587424. 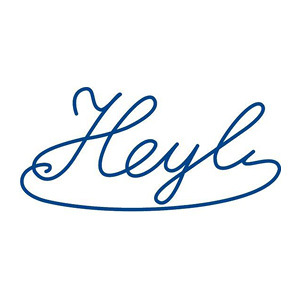 Heyl is a family owned pharmaceutical founded in 1926. Based in Berlin, Germany, Heyl is a global player in both CBRN (Chemical, Biological, Radiological, and Nuclear) Medical Countermeasures, as well as pharmaceutical therapies used in the treatment of rare diseases. 4. You have good analytical skills and good command of English. 5. Fluency and/or competency in German is a plus. As the events Manager for our NCT events, your task is to deliver successful NCT events to our customers and partners. We measure success by customer satisfaction and profitability, and by delivering events that add to our reputation as the best CBRNe conference organizer. You are in charge of Event Management, therefore the overall execution of the events, the events logistics (arranging venues, negotiating with suppliers…) and the clients support in preparation and during an event. IB Consultancy is an independent defense and security company dedicated to making this world a safer and more secure place. To achieve this we provide rapid, innovative defense and security services to government, trade & industry. We connect businesses, governments and NGOs from different continents in our common goal to make this world a safer and more secure place.